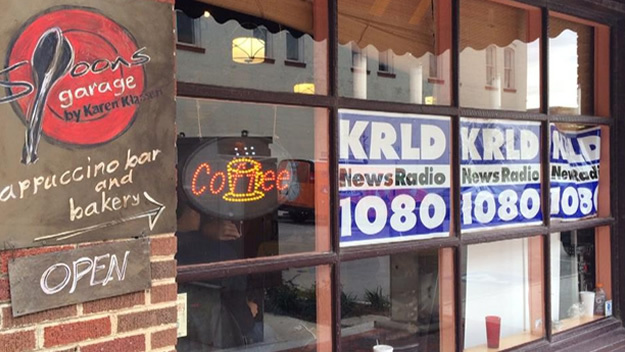 KRLD 1080 radio set up a remote for the day in McKinney recently … and their reporters fanned out through the city to share stories of what McKinney has to offer. McKinney was recently the featured city on a “Your Hometown” radio remote day on CBS’s KRLD-1080. Station on-air personalities set up shop at Spoons Cafe on the downtown square to broadcast live from the city’s hometown center. Throughout the day, the station played feature stories by reporters who spread out through town to do special spots on some of McKinney’s hidden and popular gems.